Attack 1 : Not Your Boyfriend! 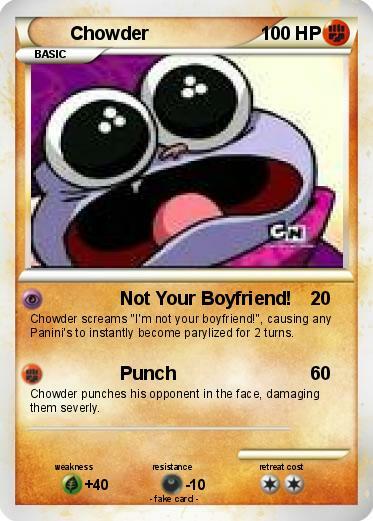 Chowder screams "I'm not your boyfriend! ", causing any Panini's to instantly become parylized for 2 turns. Chowder punches his opponent in the face, damaging them severly.